Rich in antioxidants, plum improves and maintains the health of your heart. The antioxidants fights the free radicals, preventing heart diseases and stroke scares. Antioxidants prevent oxidation of cholesterol and help in maintaining the health of the heart. Plums contain isatin and sorbitol, which help relieve constipation and improve digestion. It also keeps the bowel healthy. You can have plums or dried plums, which are known as prunes, to get relief from constipation and other digestive issues. Plums improve the body’s ability to absorb iron. The fruit also contains iron, which is required for the production of blood cells. 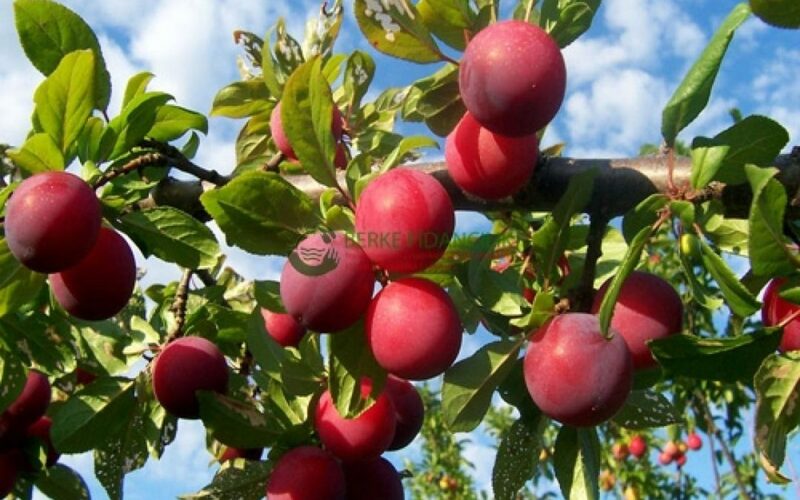 Eating plums will improve the circulation of blood. The fruit contains soluble fiber, which helps reduce cholesterol levels and inhibit the production of cholesterol in the liver. The soluble fiber soaks up the bile, which is produced using cholesterol. So, when the bile is soaked up by the soluble fiber in the fruit, the liver uses cholesterol stored in the body, thereby lowering the cholesterol levels. Consuming plum firms your skin and clears your skin texture. The fruit reduces wrinkles and rejuvenates your skin. Drink plum juice for younger looking skin. According to several studies, consuming plums improves bone health. Plums contain boron, which is important for preservation of bone density and maintaining bone health. The fruit is also rich in flavonoids and phenolic compounds, which reverse the loss of bone. Plums increase the blood circulation to the scar, helping development of new skin and reducing the appearance of the scar. It helps the skin to heal faster and replace damaged skin with new skin. Consuming plums also improve skin texture and elasticity. It also reduces the appearance of dark spots, freckles and treats other skin conditions. Plums stop hair fall by reversing the adrenal gland fatigue. It also promotes hair growth as it has high content of iron and it improves blood circulation. Eat plums if you want to have thicker and stronger hair. Eating plums will keep cold and flu at bay by improving your immunity. The fruit boosts your immunity and promotes development of healthy tissues.